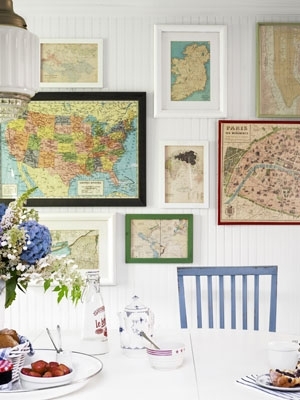 I love the way all the frames have a theme in this room- maps. It could be places that have special meaning or just cool stylised maps that all work together well. I have one of Manhattan that is actually just wrapping paper that I framed but it looks amazing, plus its so much cheaper than buying a proper map!